Home/News/Cemex USA Continues Side Guard Program. Cemex USA Continues Side Guard Program. ‘Angel Wing Side Guards’ – Cemex USA continues it’s deployment program. December 14, 2017, Tampa Florida – In support of the protection of Vulnerable Road Users, Angel Wing Side Guards are installed on Cemex’s flat-bed trailers – The first in North America. 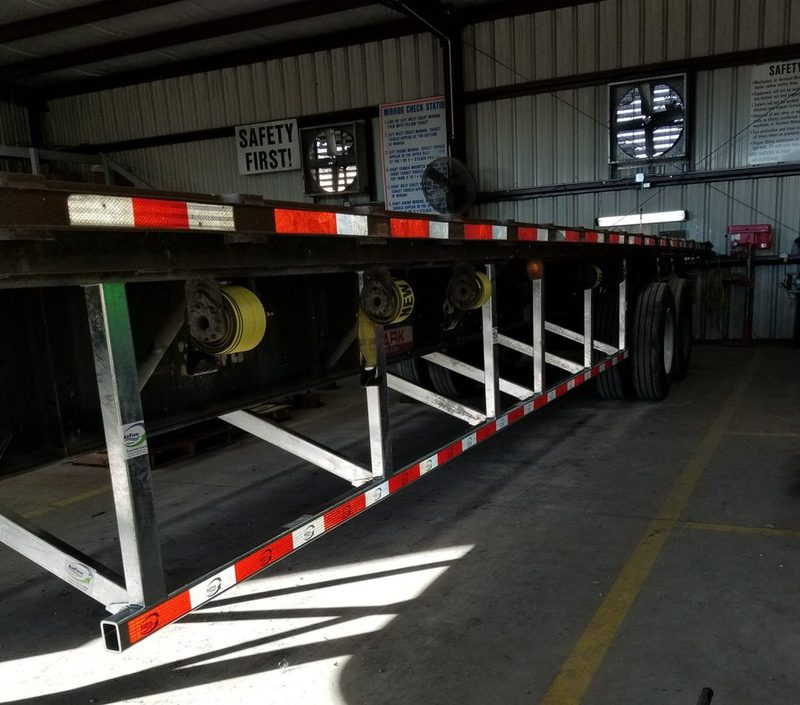 Side guards are specifically intended to prevent vehicle occupants from colliding with the sides of the trailer and from going under the truck should a side collision occur at speeds of up to 40 mph. Angel Wing side underride devices are placed between the landing gear and the rear wheels. Now with the current side underride bill recently presented by Rubio and Gillibrand, they have joined Cohen and DeSaulnier in publicly announcing legislation, alongside representatives from the Advocates for Auto and Highway Safety and family members of victims of fatal underride crashes. Saving lives by having safer trucks on the road has taken one step closer to realization. “Airflow Deflector – The North American Standard in Side Guard Protection”.